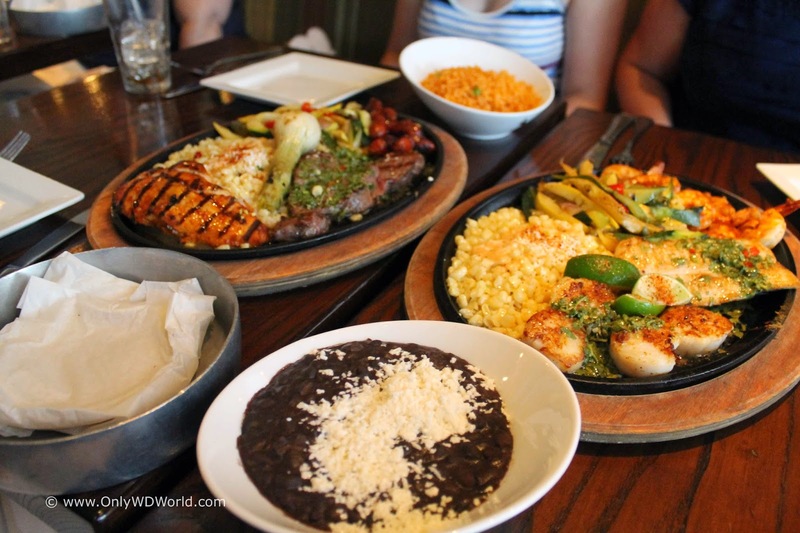 Epcot is certainly the best Disney World theme park for dining and La Hacienda de San Angel is a great option whether you are a couple on a special night out or a family looking for a enjoyable meal. 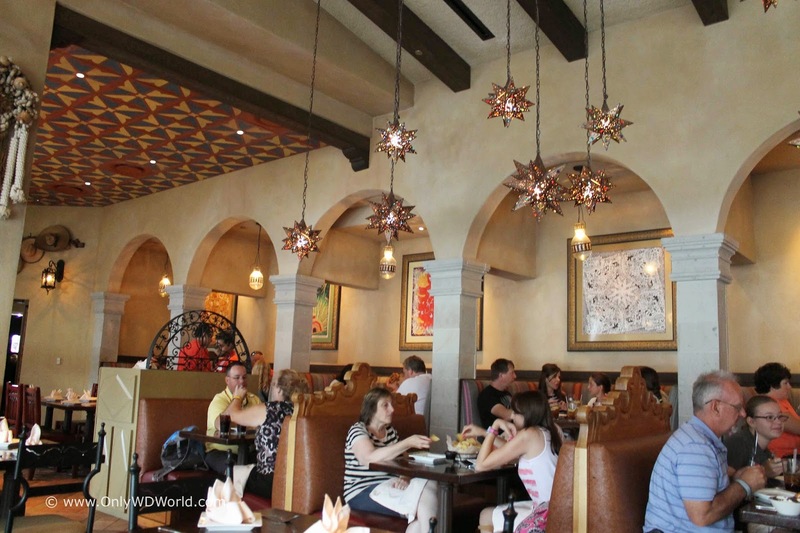 The Mexico Pavilion is blessed with two great Table Service Restaurants: San Angel Inn, which resides within the giant Aztec Pyramid that dominates the Skyline for the Pavilion and the newer La Hacienda de San Angel which has a wonderful waterfront perch. 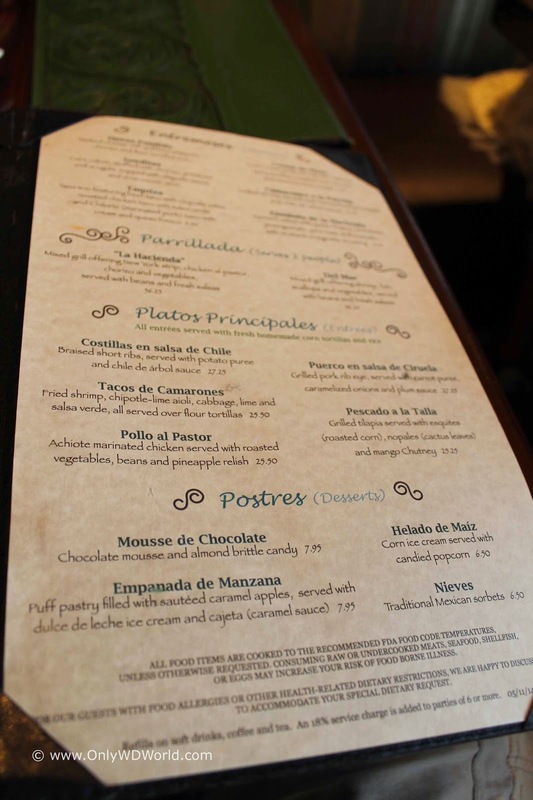 Both restaurants are run by the same company, but provide a different menu and experience for Disney World Guests. 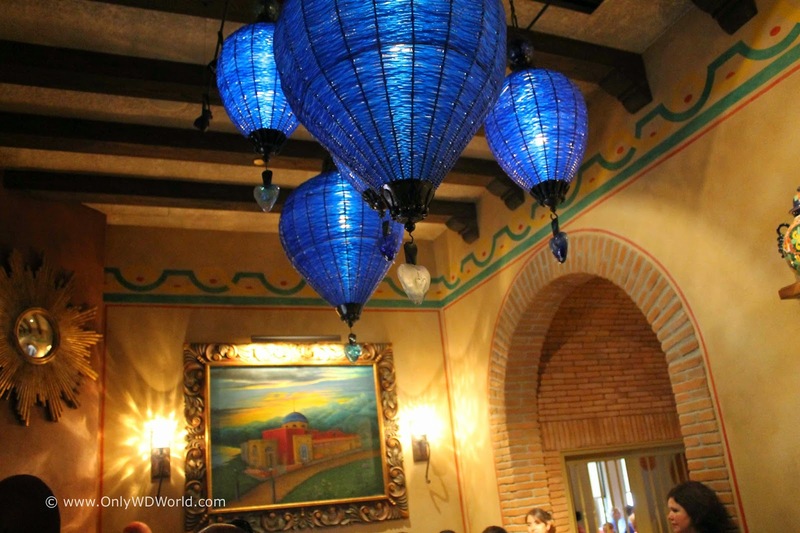 The decor that can be found within La Hacienda de San Angel is amazing! It is quite different from its near neighbor and creates a much different mood. The seating is packed closely, so don't be surprised if your table is very close to another party. The restaurant is friendly and welcoming, so this closeness does not detract from the ambiance of the dining experience. 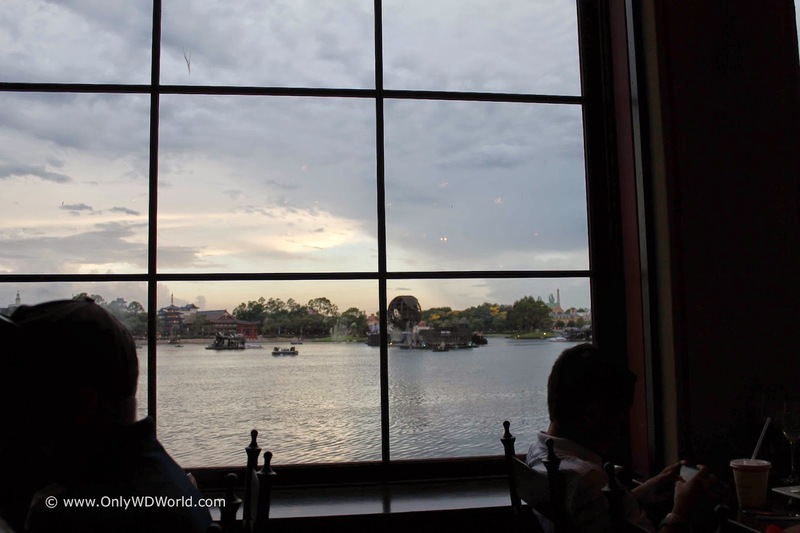 With its waterfront location, there are amazing views of the World Showcase Lagoon, and the waterfront window tables are much sought after for late night seatings. It is hard to name a better way to view Illuminations: Reflections of Earth. The ambiance is wonderful, but a restaurant is nothing without great food. 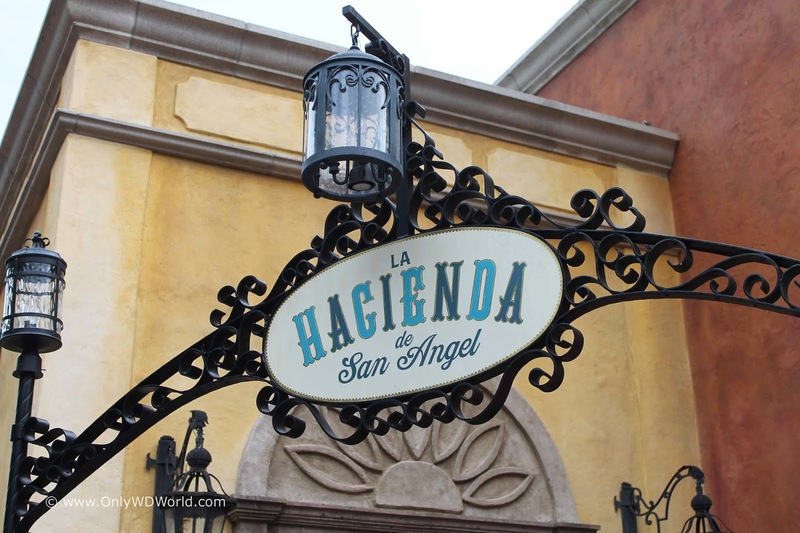 Fortunately La Hacienda de San Angel certainly has great food! 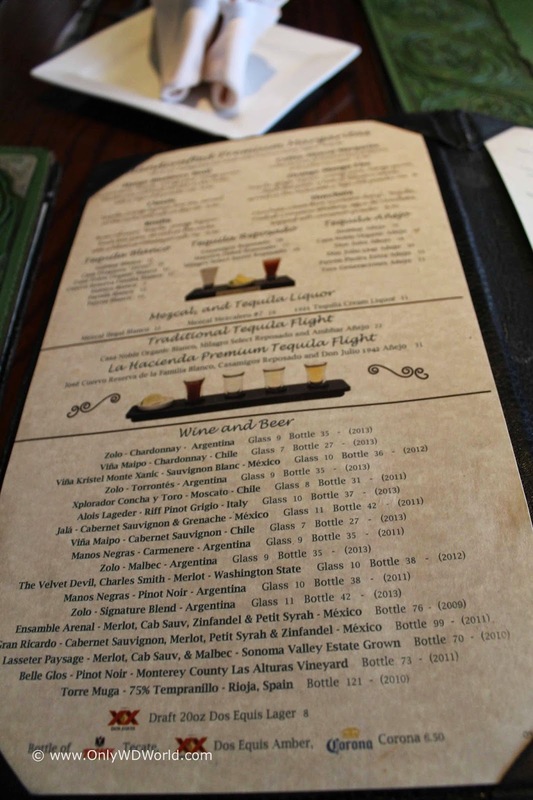 Here is a picture of the wine and beverage menu. One of the specialties are the choices of Tequila flights. 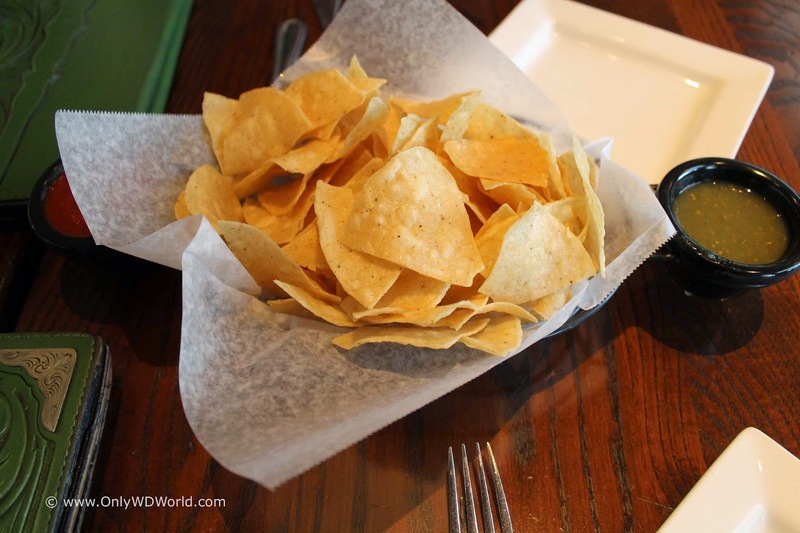 Every meal starts out with the complementary Chips and Salsa. This has two kinds of salsa to sample and enjoy. They also have two different meals that are designed to feed two people each. One is seafood centric and the other featured beef and chicken. Since we had four people in our party during this review we decided to try both of the two person meals called Parrillada. 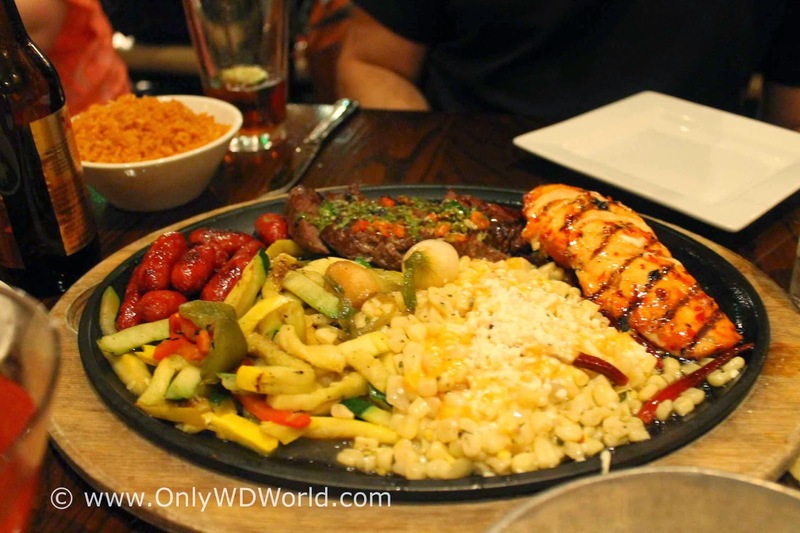 The "La Hacienda" features mixed grill offering New York Strip, chicken al pastor, chorizo and vegetables, served with beans and fresh salsas. The food is certainly as good as it looks the portion for two is plentiful and the variety of tastes and flavors from the various portions of the meal are wonderful. 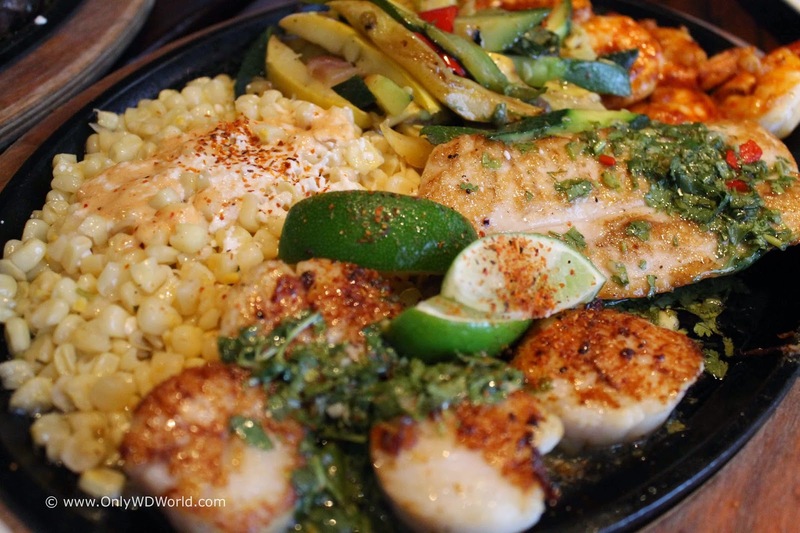 The Del Mar features mixed grill offering fish, shrimp, scallops and vegetables, served with beans and fresh salsas. Again, another excellent choice. This is sure to satisfy seafood fans. The hardest choice if there are only two of you dining is choosing between the two meals. I would recommend bringing along four people so that you can try both of these combination meals and enjoy all of the wonderful flavors. Here is a picture highlighting all of the food that our table of 4 received. They will bring refills of the bowls of rice and beans if you wish, as well as, additional tortillas. The La Hacienda de San Angel is a beautiful restaurant with great food that is sure to please whether you favor meat or seafood. There is also a well stocked beverage menu to meet your needs. The only drawback is that this restaurant does not accept the Tables In Wonderland Discount. 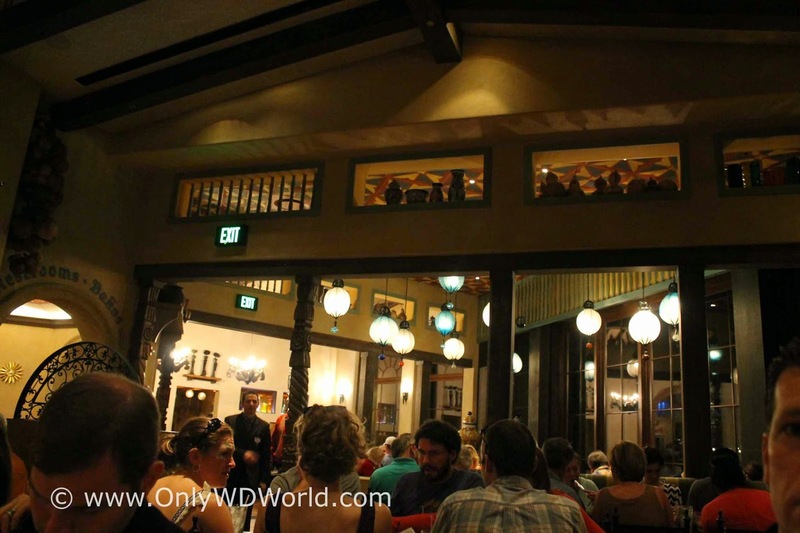 It does take the Disney Dining Plan and it also accepts a DVC Member Discount. 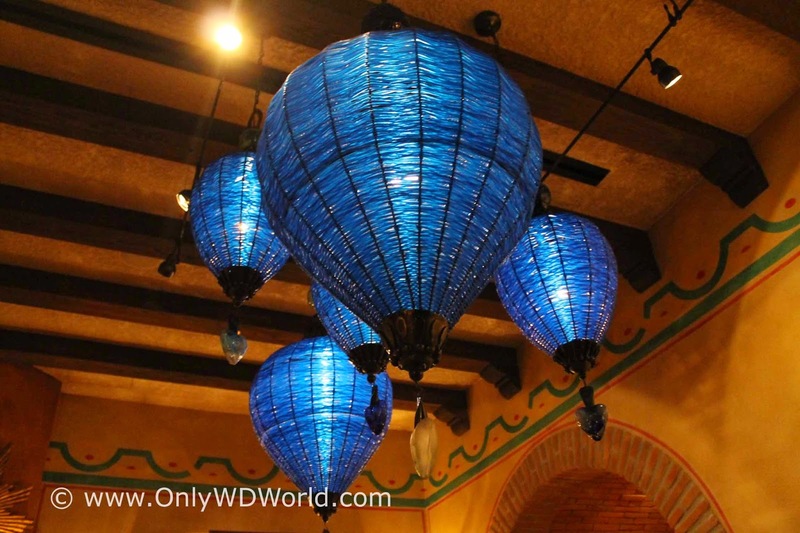 We highly recommend this restaurant and suggest that it would be a great way to end a day at Epcot with a window view of Illuminations: Reflections Of Earth. 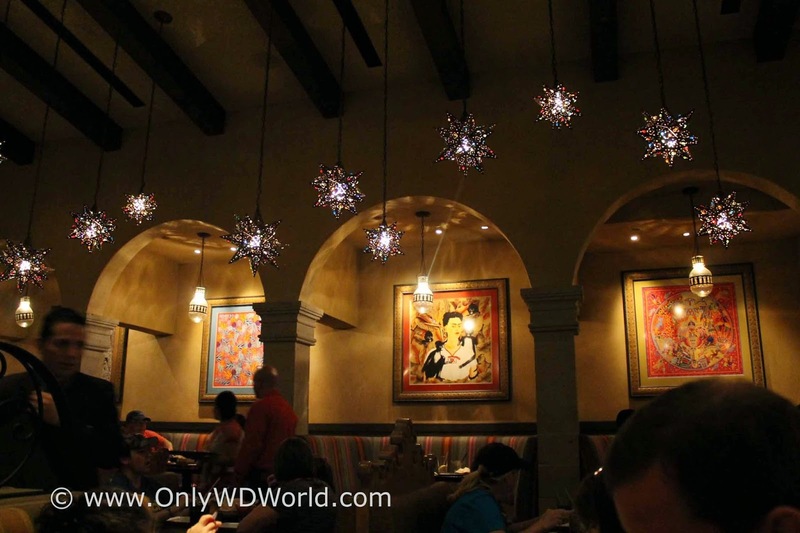 0 comments to "Disney Dining Review: La Hacienda de San Angel at Epcot"